A Personalised Medium Luxury Box of Nostalgia - A stunning foiled gold box (which is held closed by magnetically to keep everything neat and tidy... clever eh?) 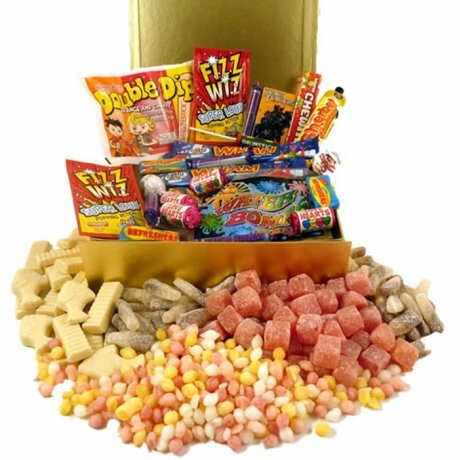 packed full our most popular goodies - - what a cracking present to give to someone who really deserves a good old treat!!! You'll be their most favourite person EVER! 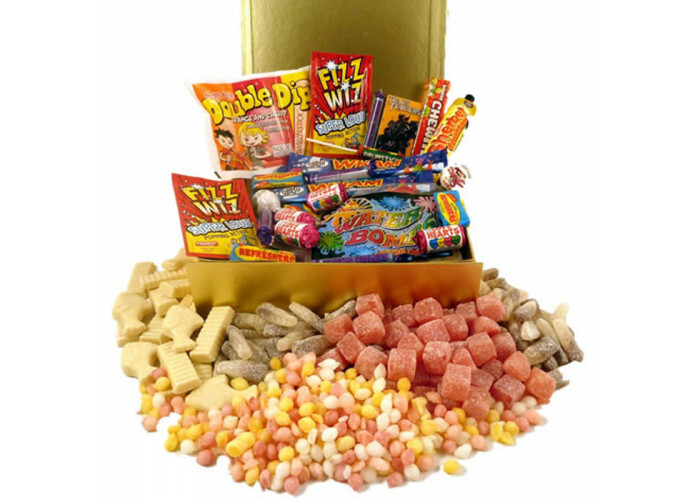 Just to give you an idea, the box (full of sweets) weighs a whopping 1.75kg and measures 25cm x 15cm x 15cm (9.8in x 5.9in x 5.9in) - a really meaty box!